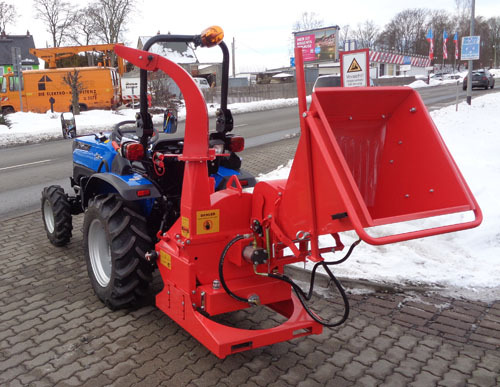 The compact tractor should have a rear three-point hitch KAT 1 or KAT 2 and a standard PTO with 540 rev / min clockwise. 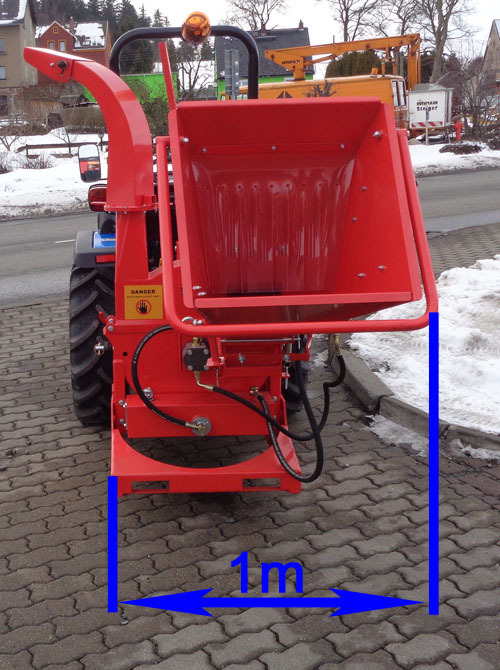 This H18H is equipped with a sturdy blade on which 4 chopper knives are mounted. It can be chopped green, fresh branches with a thickness up to 15 cm and dry wood up to a branch thickness of 10 cm. 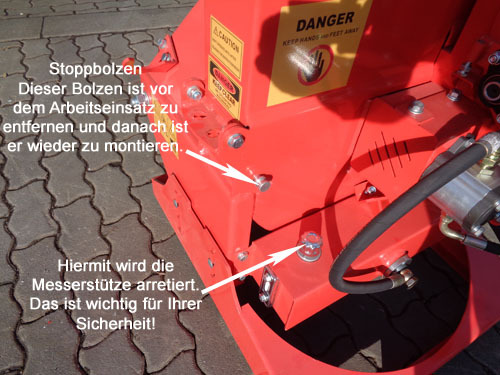 The metering disc has a diameter of 60 cm and is electronically balanced. The blade is a whopping 2 cm thick. The knives are sharpened on the sides and can be turned. The shredder is sturdily built. 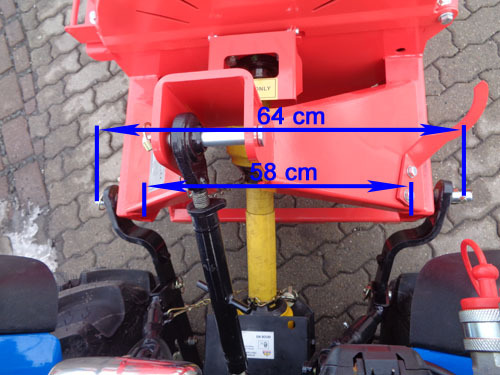 The knife shaft is driven directly by the PTO shaft. At the other end of the knife shaft, a hydraulic pump is mounted. The drives the height-adjustable feed rollers. 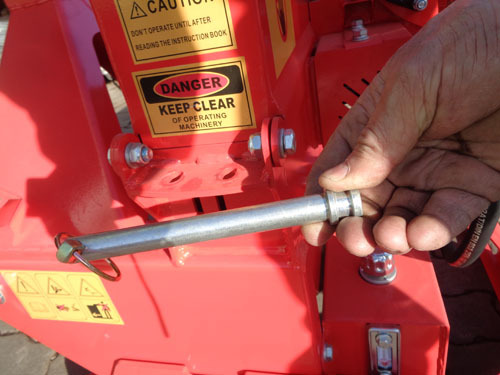 The feed roller can be set by means of a safety lever to retract, return or safety stop. 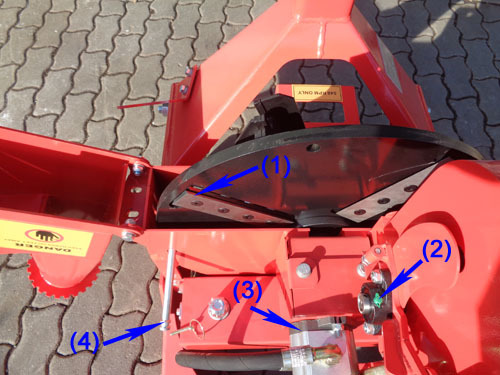 The speed of the feed roller can be controlled steplessly by means of the control valve. The standard PTO shaft is included in the standard scope of delivery. 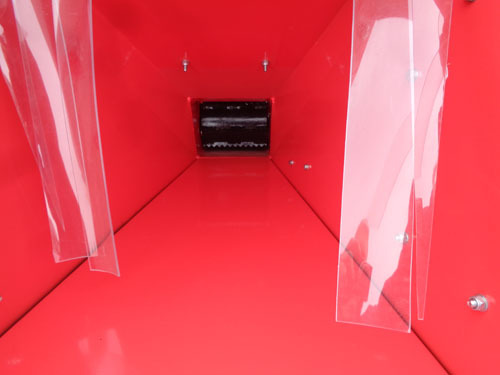 The shredder has a completely own hydraulic system. 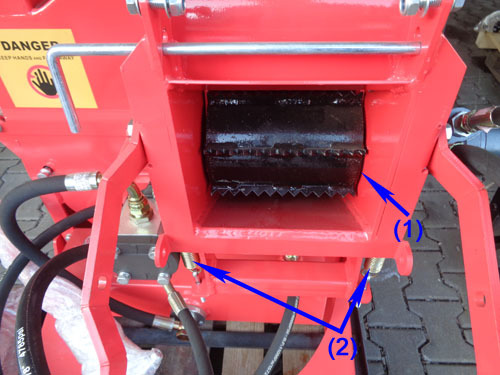 However you must fill up the hydraulic oil yourself (HLP46). There are no V-belts installed. 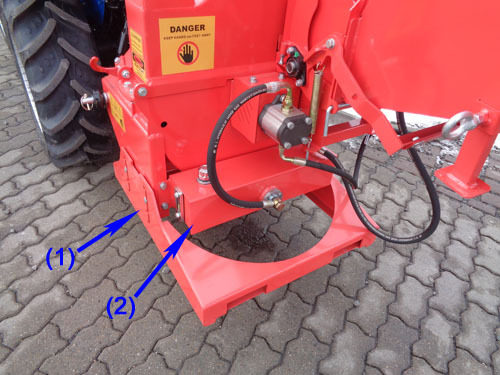 Recommendation: Use PTO shaft with shear pin. 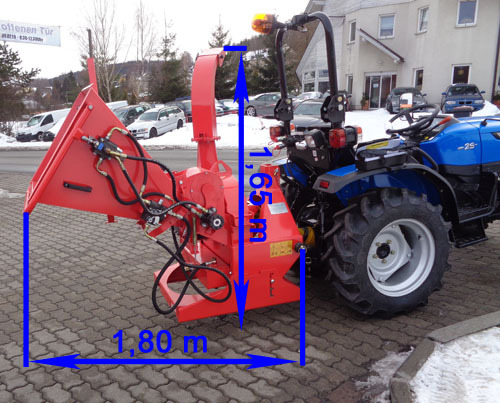 Powered by the PTO shaft of the tractor at a PTO speed of 540 U / min.